Random Five is early this week! 1.) 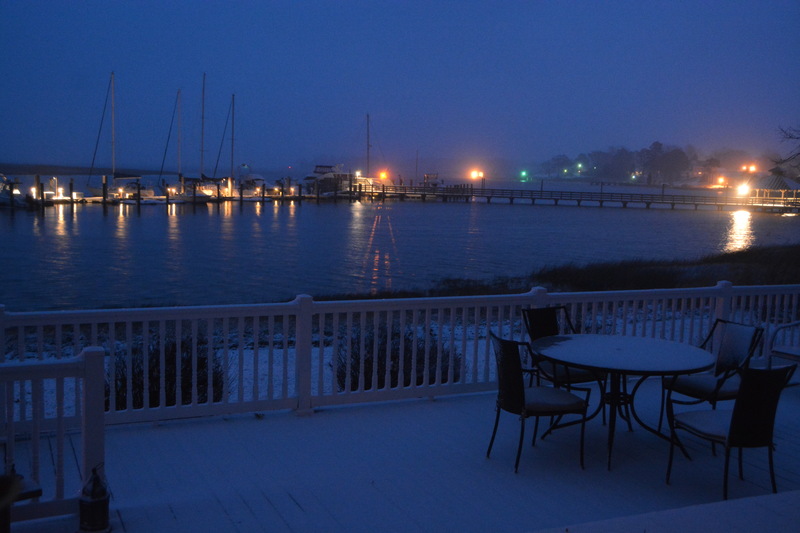 This was our snow on Tuesday morning. Yes, I can hear all my northern friends laughing from here. 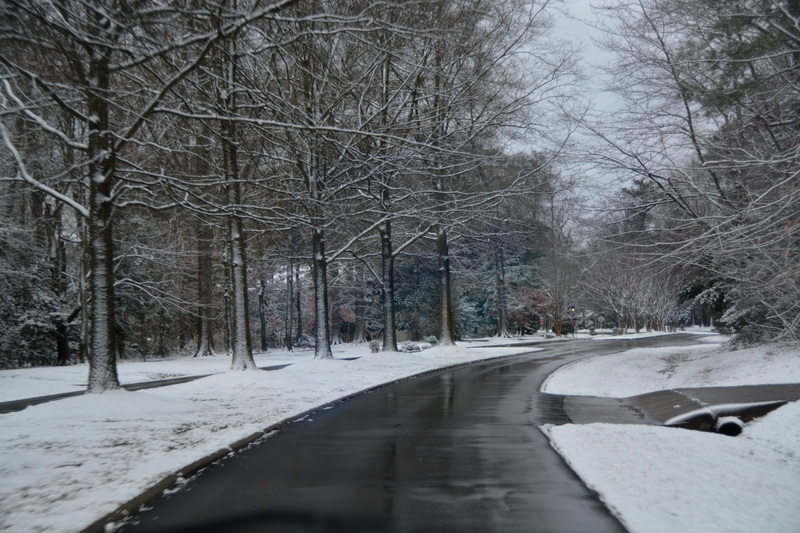 And, thankfully, the street was just wet, not icy. 2.) Yesterday, I received quite a special, thoughtful gift in the mail. 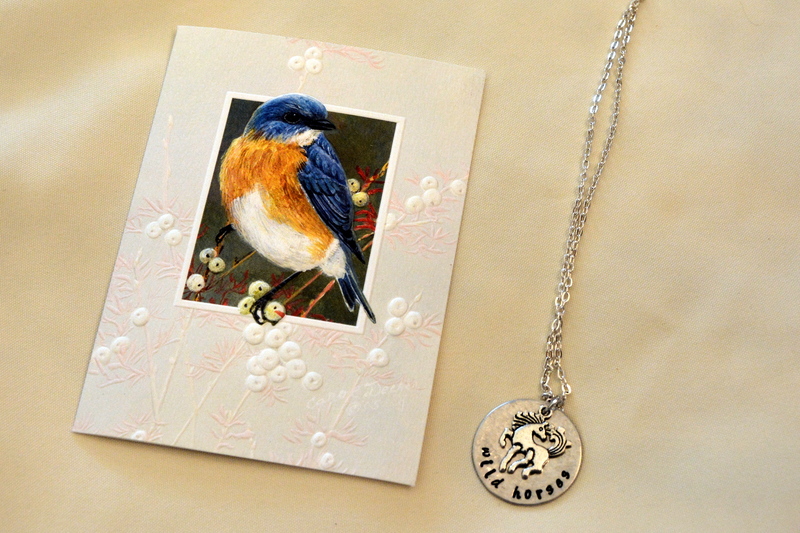 My dear blogging friend, Pix, sent me this beautiful necklace (which she had custom made for me). And she had written a sweet message in this beautiful card. Thanks again, Pix; I love it! 3.) 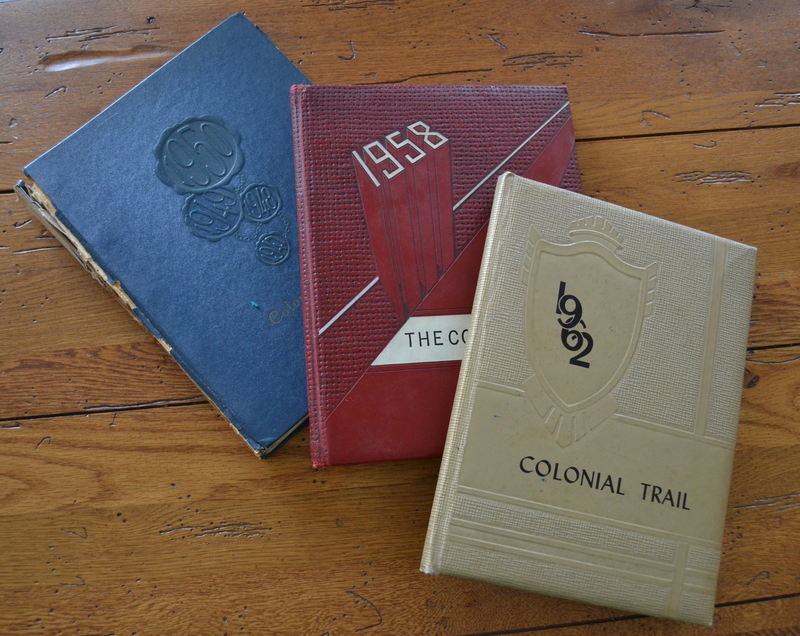 Recently, I was contacted by a young woman who had read my post about the yearbooks, purchased on E-bay, from my alma mater. It seems that her grandfather had been the high school principal at that school during the late fifties. He was no longer there when I was in school, but my sister remembered him well. She shared several stories with me of her memories of him as principal, and I, in turn, forwarded those to his granddaughter. And she shared them with her father. Just another reason I love blogging. 4.) You may recall this photo that I shared a couple of weeks ago. 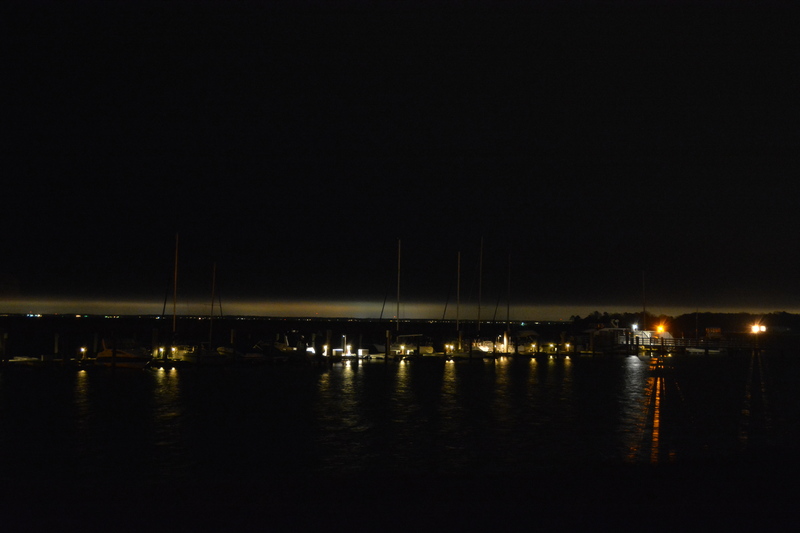 There’s sad news in our area this week: a 75-year old fisherman left out of this harbor (in a smaller boat than these) late Monday afternoon. 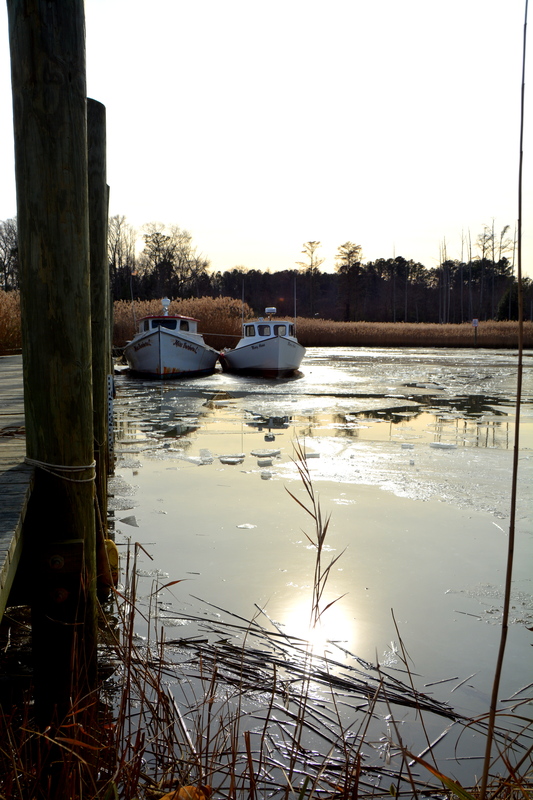 His boat was found capsized later that evening, but as of this morning, his body hasn’t been found. 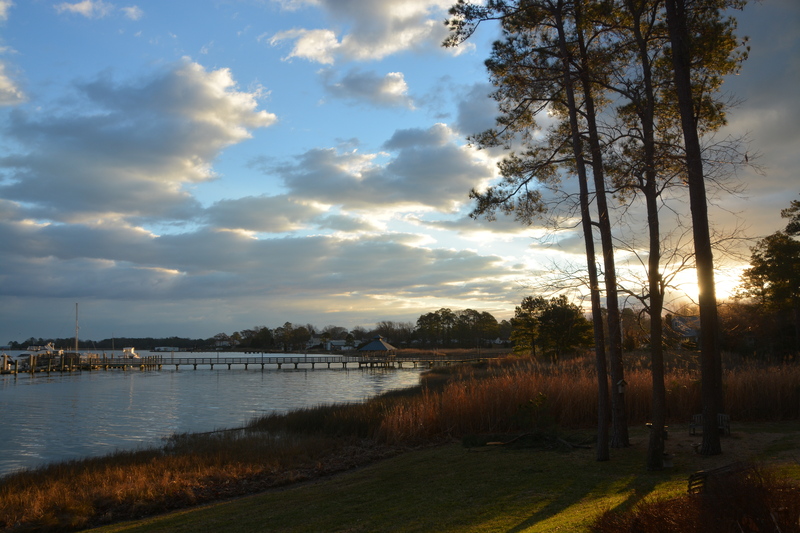 This is just a few miles upriver from where we live. 5.) Wondering why it’s R5T this week, rather than R5F? I won’t be posting tomorrow; Motor Man and I will celebrate our anniversary on Monday, and there just may be a long weekend in our immediate future. 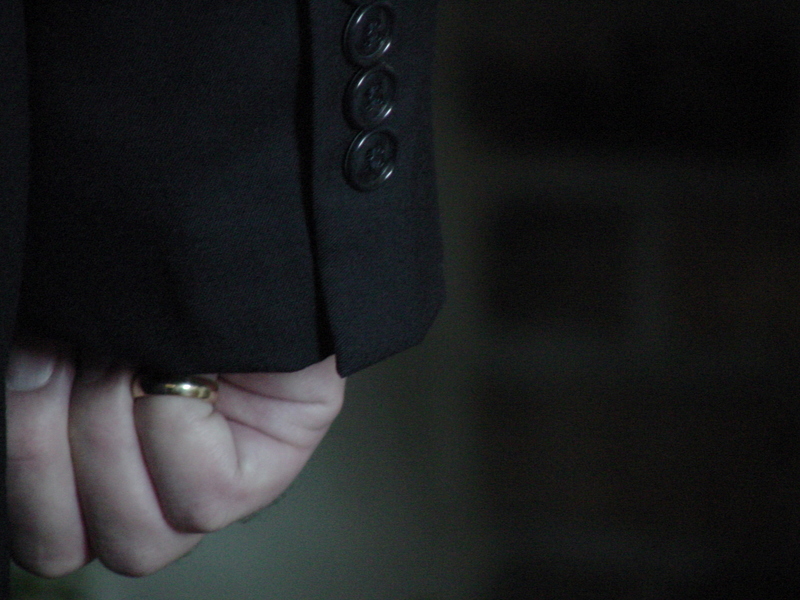 One of my favorites: Motor Man, before the ceremony, keeping my wedding ring safe on his pinkie. Yesterday, on my way home, I stopped at a local gas station for fuel. There was a small silver-colored car at the next pump, passenger side to me, and the driver, a young man, was pumping gas. As I waited for my tank to fill, I noticed the passenger in the car: a young woman, at first facing away from me, with her head leaning back against the headrest. A few minutes later, she turned a little, enough for me to tell that she was crying. I could see her face was flushed, and tears were streaming down her cheeks. The young man finished pumping gas, got in the car, and they drove away. And I wondered: why was she crying? Had they had an argument? Had she been verbally abused? Was she, as Motor Man later suggested, on her way home from a doctor’s appointment where she’d gotten bad news? Or perhaps she had just gotten word of a death in the family? I doubt our paths will cross again, so I won’t ever know the cause of her tears. I can only hope it was the “least bad” of all the possibilities. While I’m sure many of you are in the throes of a historic snow storm, we’re expecting a dusting today. Maybe an inch. Last night, when Motor Man was closing the blinds, he called my attention to the sky. Years ago, my mother pointed out a similar cloud, announced that it was a snow bank, and that we were in for a heavy snow. I think we had a snowfall of about 12-14 inches later that day. 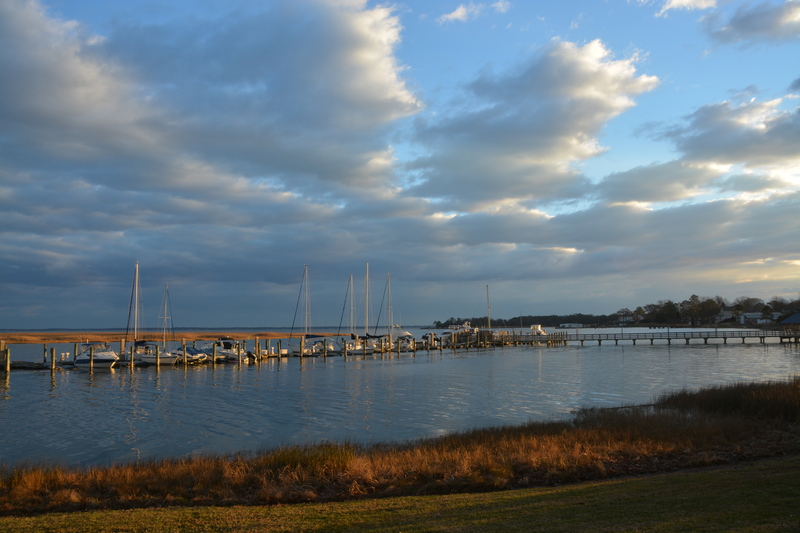 This next picture was taken just a few minutes ago….certainly no evidence that those clouds constituted a snow bank. But, wait, it’s still snowing! Update tomorrow. You may recall this post from August 24, 2014, sharing the three photos I submitted for the 2016 Corolla Wild Horse Fund Calendar contest. I asked my readers to select which one they thought the judges might choose. This photo was taken on August 18, 2013. Motor Man and I had driven up on the beach very early in the morning. We prefer that time of day, because there are fewer people on the beach, less traffic, and it’s just a pretty time for photos. I had gotten out of our vehicle, and Motor Man drove a little further up the beach to stop and wait for me. There were three horses on the beach, one lying down. I sat in the sand at the bottom of a nearby dune and just snapped pictures to my heart’s content. 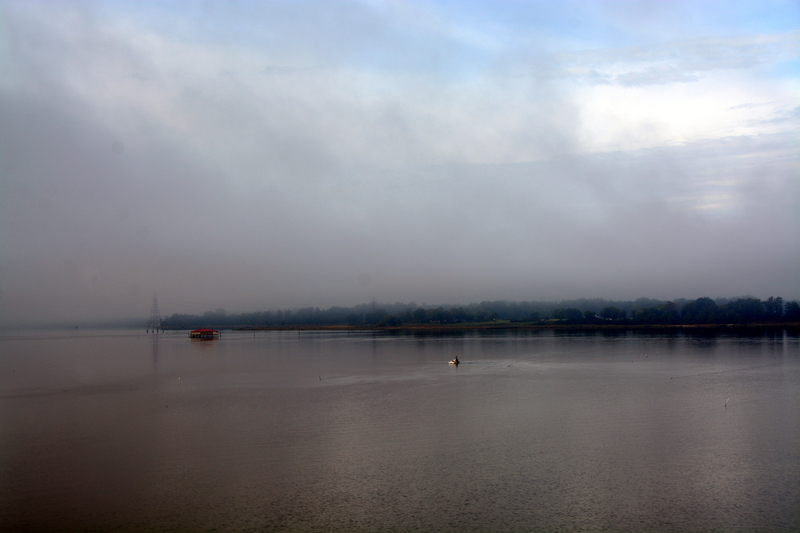 It was a most peaceful, serene time, and I’m reminded of that when I see this photo. Of the 43 comments left on my giveaway post, 23 readers selected this as their favorite or the one they thought might be selected by the judges. Motor Man pulled one of those names “out of the hat” last night, and the winner is fellow Virginia blogger, Patti, from A New Day Dawns. 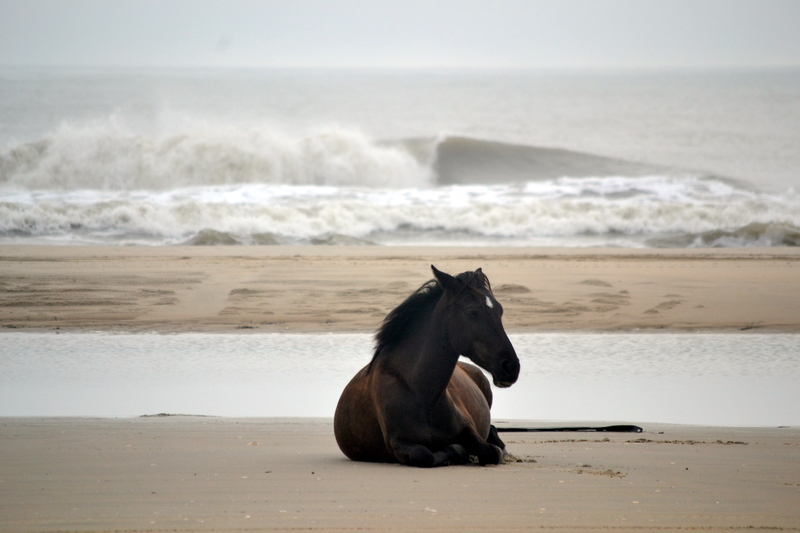 Patti, your prize is one of the 2016 Corolla Wild Horse Calendars, which will be available in April. If you’d like, we’ll meet for lunch, and I’ll deliver it in person. It has been rather quiet ’round here this week, but I finally found five little bits of random to share. 1.) 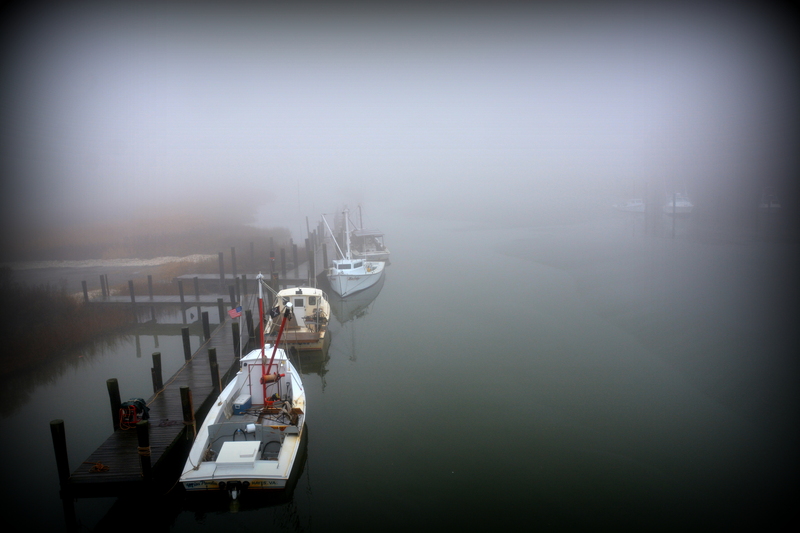 While many of you are having snow and ice, we’ve had several foggy mornings recently. 3.) Since it’s been awhile since I’ve shared a photo of Gypsy, here’s one from earlier this week of her and her Motor Man. They were having a little chat. 4.) Jeff Gordon announced that he’ll retire after this racing season. 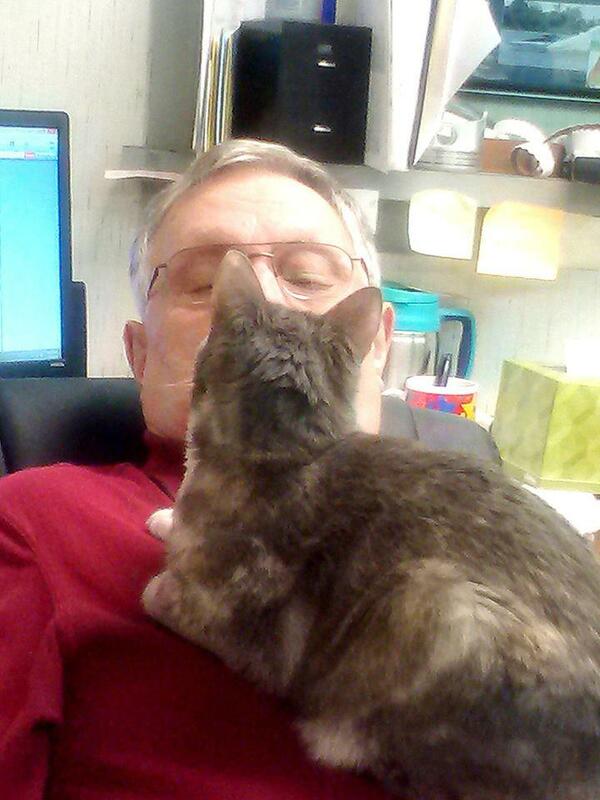 Although he has his critics (who doesn’t), Motor Man and I have always “pulled for him”. 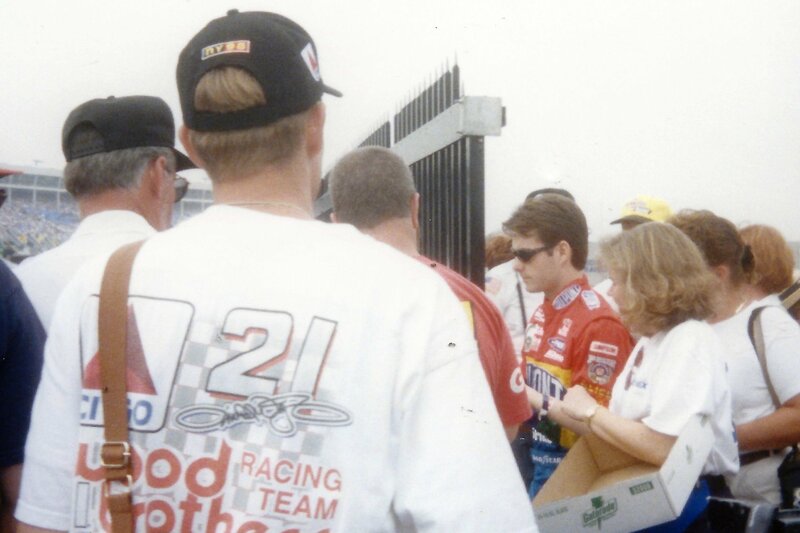 I took this photo at Charlotte Motor Speedway in 1998 or ’99. 5.) I love it when someone corresponds with me after discovering my blog through an internet search. This week, I was contacted by a gentleman who lives in Georgia. He suspects that we “share” a common ancestor: our 8th great grandfather. But he’s hit a snag in his research, and asked if I could help. 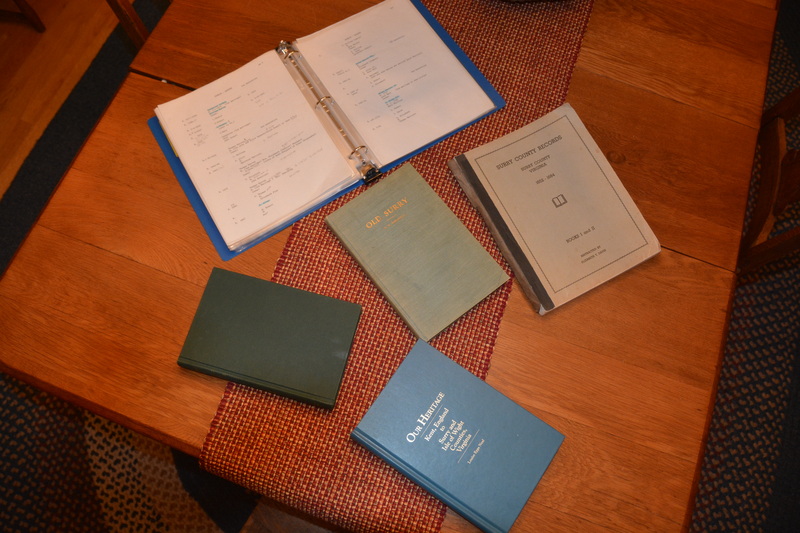 So I pulled out my family genealogy information and several books, including “Old Surry” and “Colonial Surry” and did some studying last night. I found one little tidbit that just may be of some help to him. I’ll keep you posted. Back in the summer months, when my friend, Bev, and I would go “shelling” (searching for sea glass), we’d laugh and say: “When winter comes, we’re going to look at the weather forecast and say something like: ‘Well, next Tuesday, it’s supposed to be 50, maybe we can go then'”. 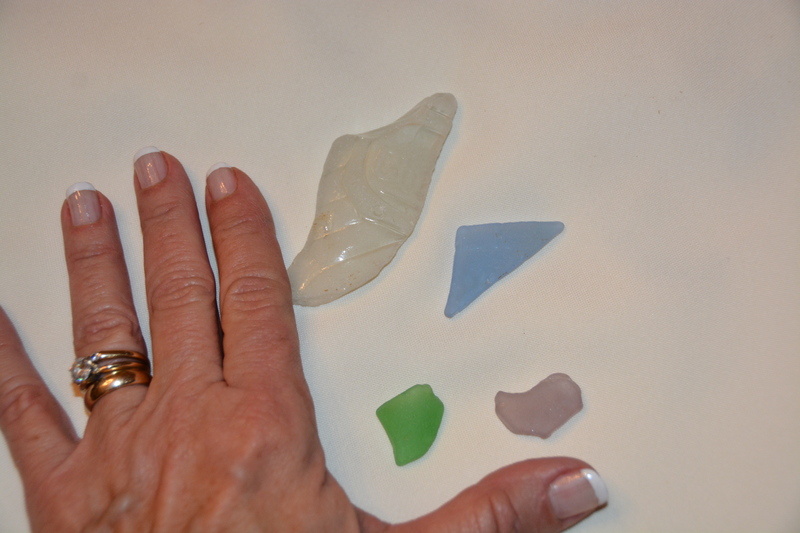 Believe it or not, we’ve averaged a sea glass search about once a week all winter…so far. We dress in layers, wear ear muffs and those little fingerless gloves and choose a day that’s sunny with very little wind. We really haven’t been uncomfortable on any of our trips. Finding amethyst is rare, so that’s always fun. The green shard is nice, but the blue is my treasure for the week. That’s the first time I’ve ever found blue. There probably isn’t enough there to research what it originally was, but the letters “LK” are visible, as if they were at the end of a word….”milk”, perhaps? The clear piece is obviously from a soda bottle. I couldn’t get a good picture of it, but the bottle is swirled with what was a word beginning with the letters “Che”. 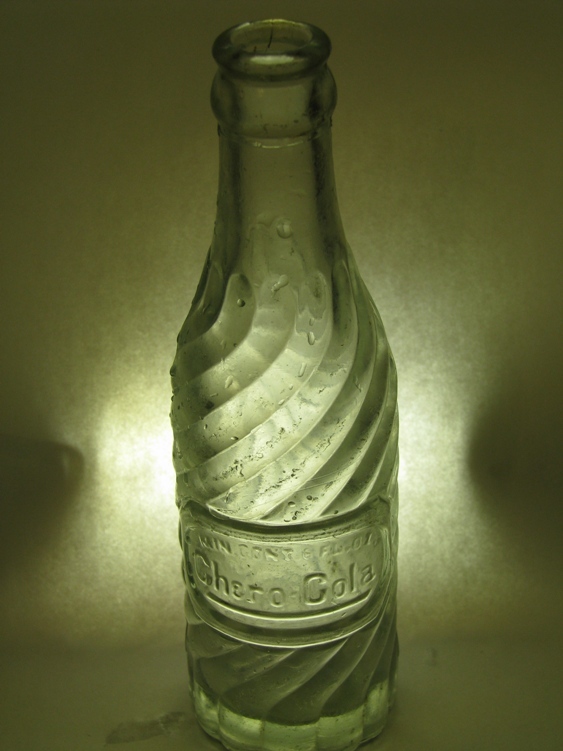 Bev found a Chero-cola bottle several months ago, so I began with a search of those bottles. And even though mine is just a shard, I believe it’s from a 1923 bottle. 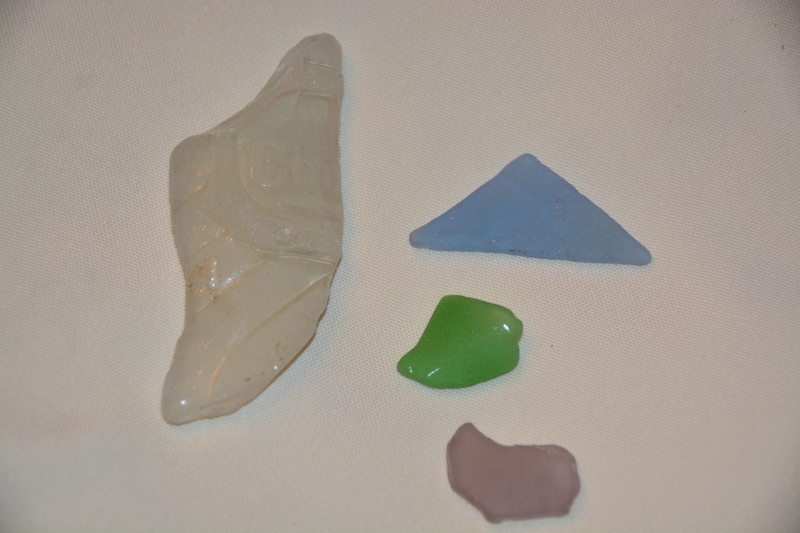 One of the reasons we enjoy looking for sea glass is just imagining what the pieces we find could have been. We usually have no idea how old the shards are, so it’s amazing to learn that this little worn piece of glass has possibly been around for 92 years. 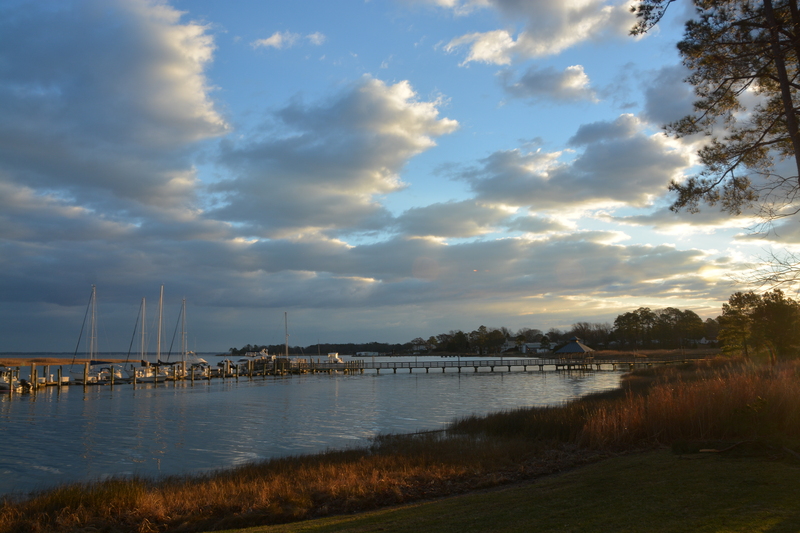 After Sunday’s rain, early Monday morning was exceptionally beautiful. 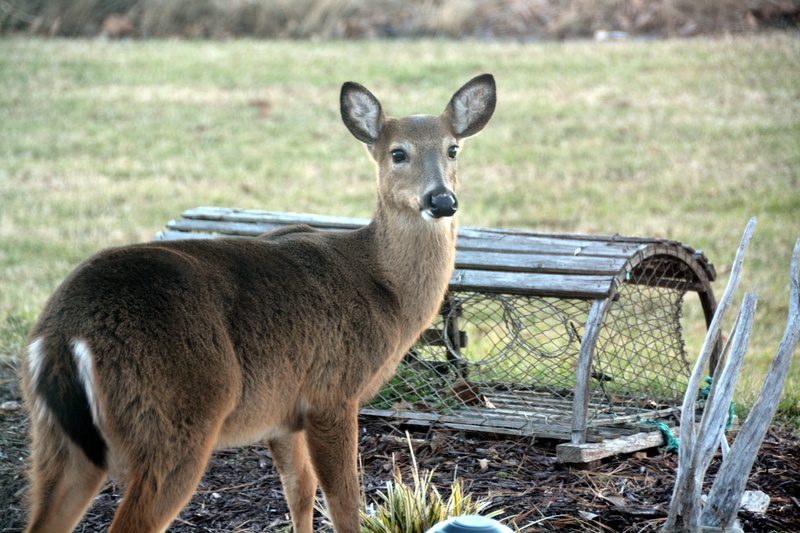 Thankfully, I glanced out the window and saw the waiting photo op. 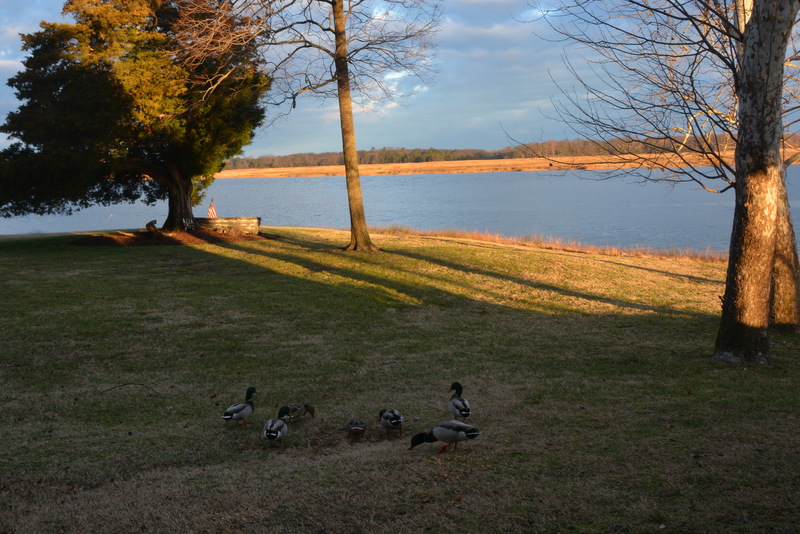 “My” duckies were happy to see me outside taking pictures; they knew breakfast would be served shortly. Perhaps the rain helps us appreciate a sunny day even more than we otherwise would.